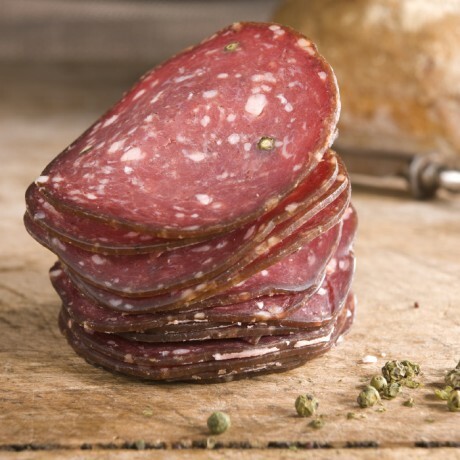 This award winning salami is made with pure venison and gently spiced with added green peppercorns for the right balance. 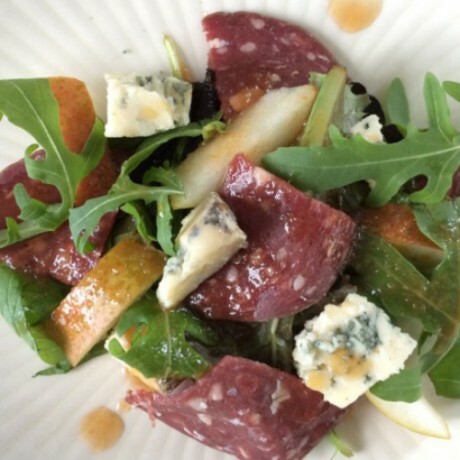 Winner of 3 Gold Stars and Best Charcuterie product of the UK at the Great Taste Awards in 2013. 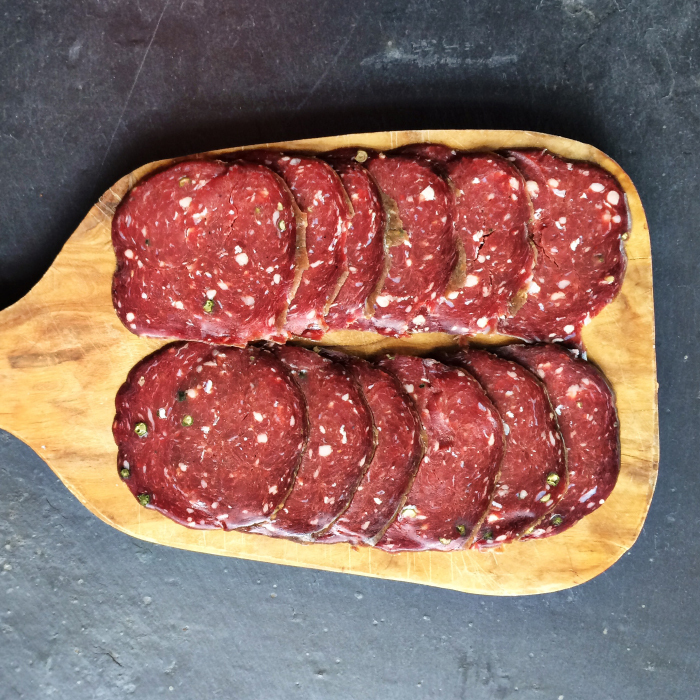 Great for serving on platters with other meats or just to eat straight from the pack. Try this lovely salami on sandwiches, mix it in salads or even make a delicious green pepper venison salami pizza! Minimum 135 g wild venison per 100 g finished product, salt: nitrite salt (E250/251) sea salt.